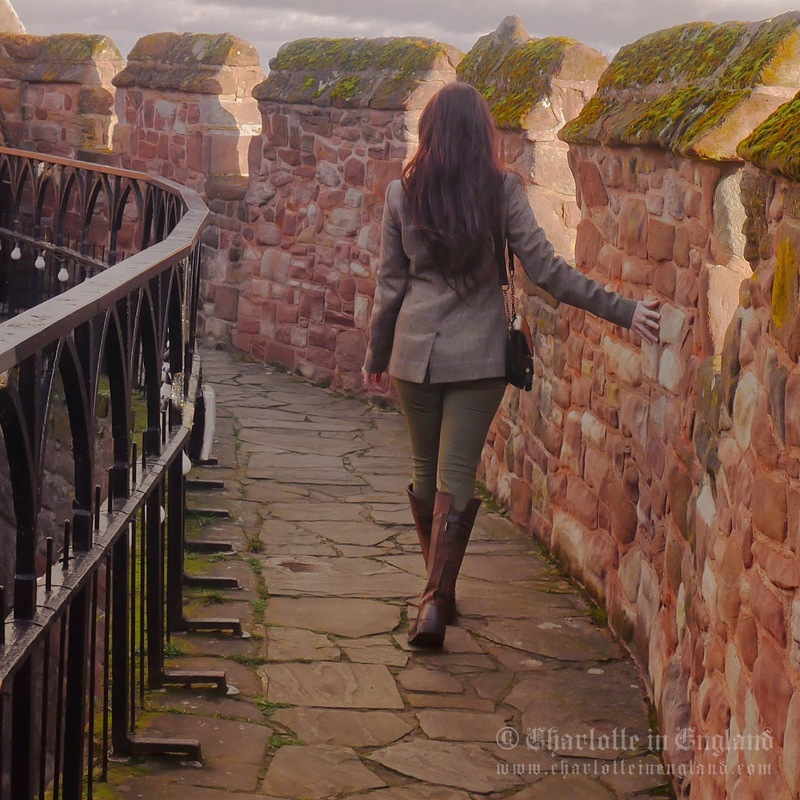 Exploring Tamworth Castle ... #WhereWillYouGo? 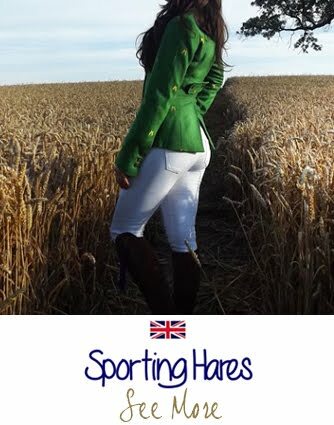 When you think of country brands, who springs to mind first? 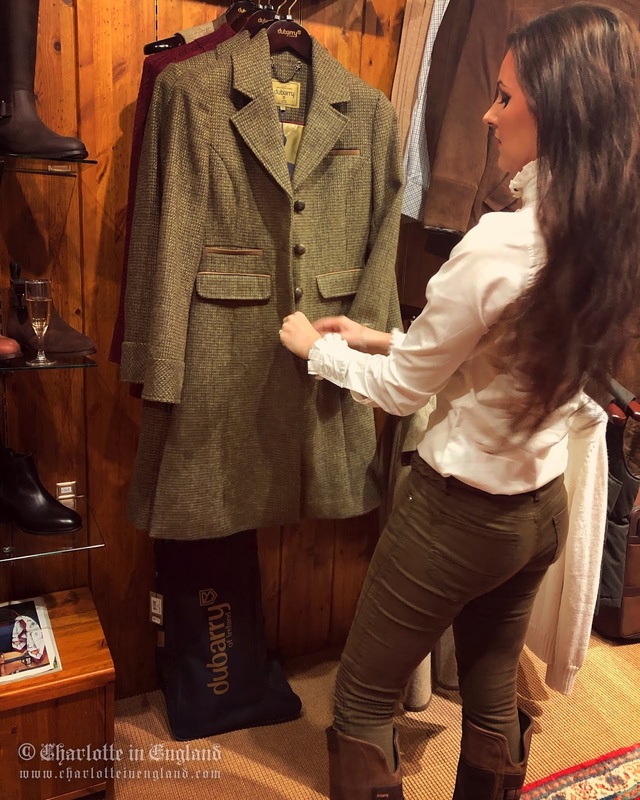 The creme de la creme of country brands, Dubarry of Ireland kindly invited me to their Cheltenham store earlier this month to have a browse at their new season collection and to collect an exquisite piece of tweed, The Moorland Tweed Jacket in the stunning new Woodrose tweed. 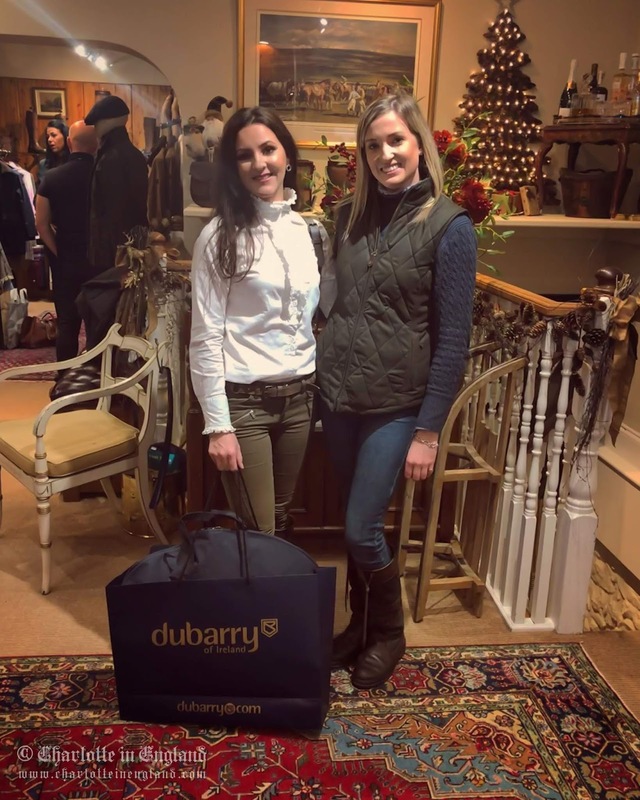 Working closely with Dubarry this year for me is a dream come true and probably the best Christmas present a country-girl could possibly wish for. 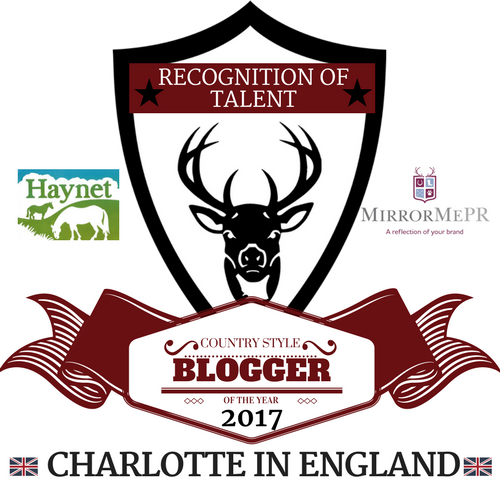 As you may be aware, I live right at the heart of England so, pretty much smack bang in the middle of the country. 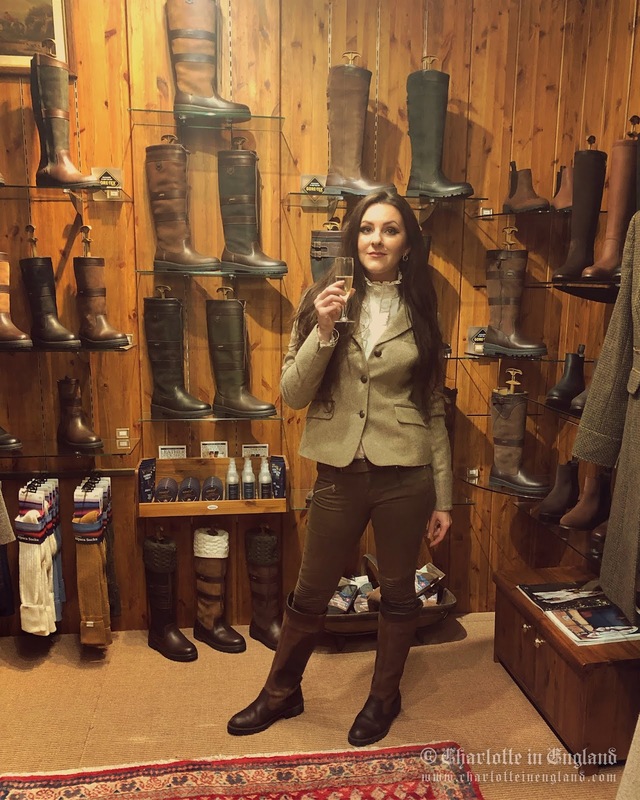 Cheltenham is a little road trip for me so it made the experience even more exciting. 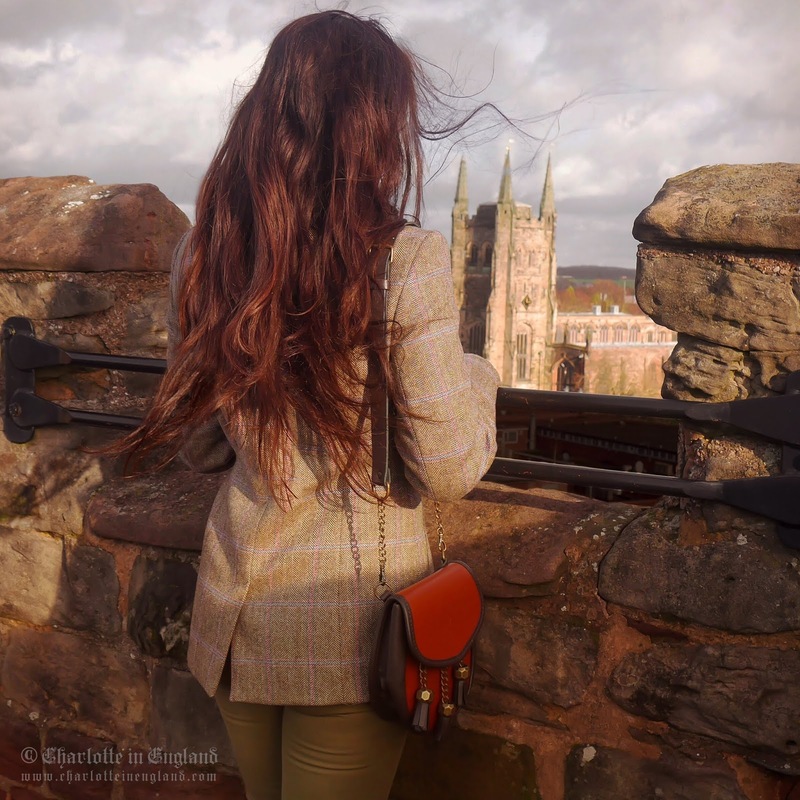 I am wholeheartedly a country mouse so anything city related always seems like an adventure me. I'm always in awe of the buildings and masses of people. 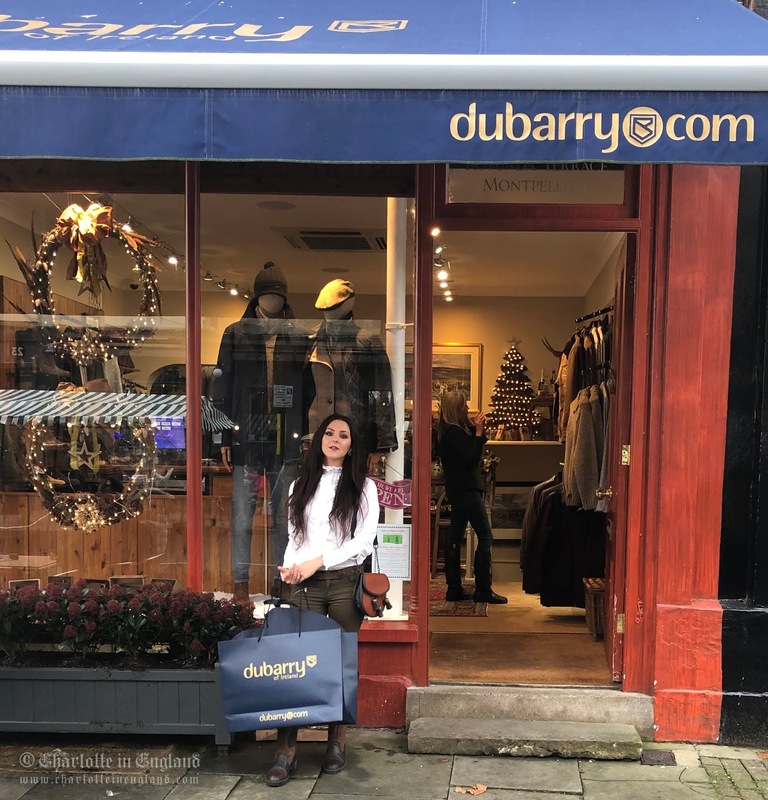 What made the trip even more magical was the fact the Christmas Market was up and in full swing on Montpellier Street, plus the store was fully kitted out with Christmas decor. Talk about getting you in the Christmas spirit! I was feeling a wee bit bah-humbug but I'm so ready to put my Christmas tree up now! 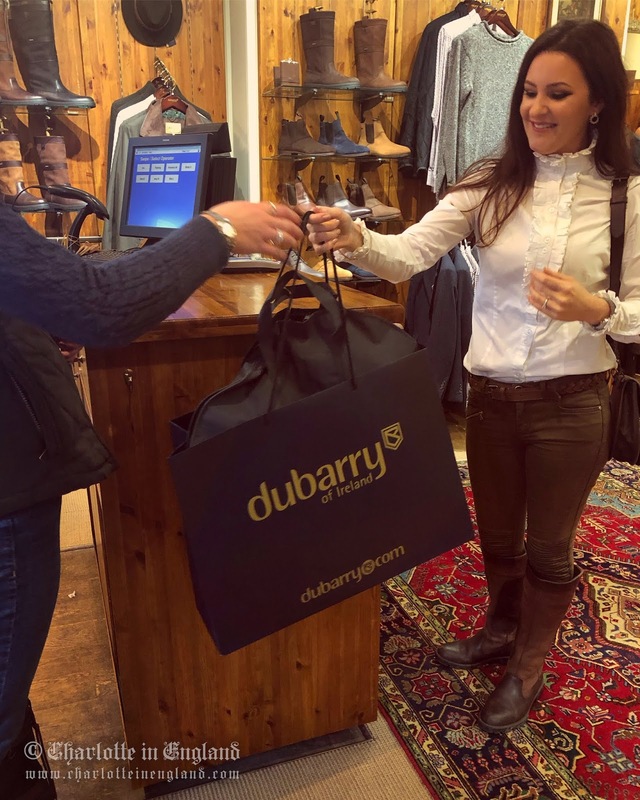 Dubarry Cheltenham is one of two stores in the UK, the other being their flagship store in Chelsea, London. 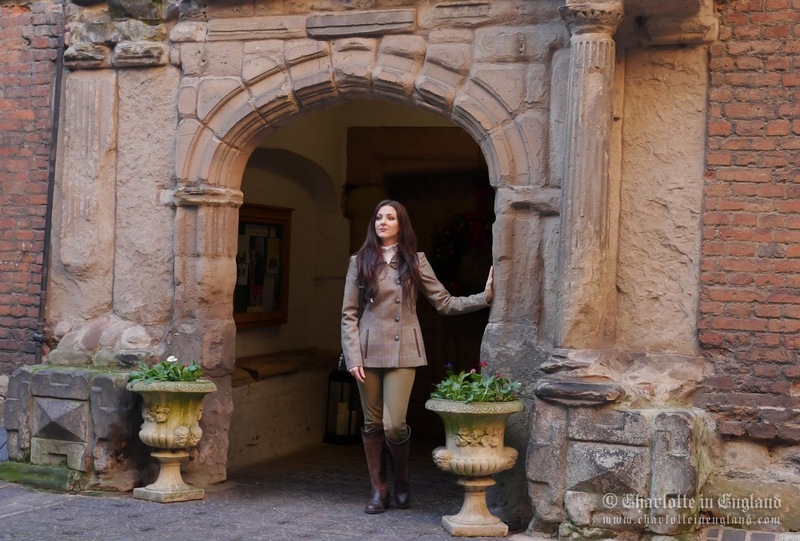 I collected my Moorland jacket and did some exploring around Cheltenham. 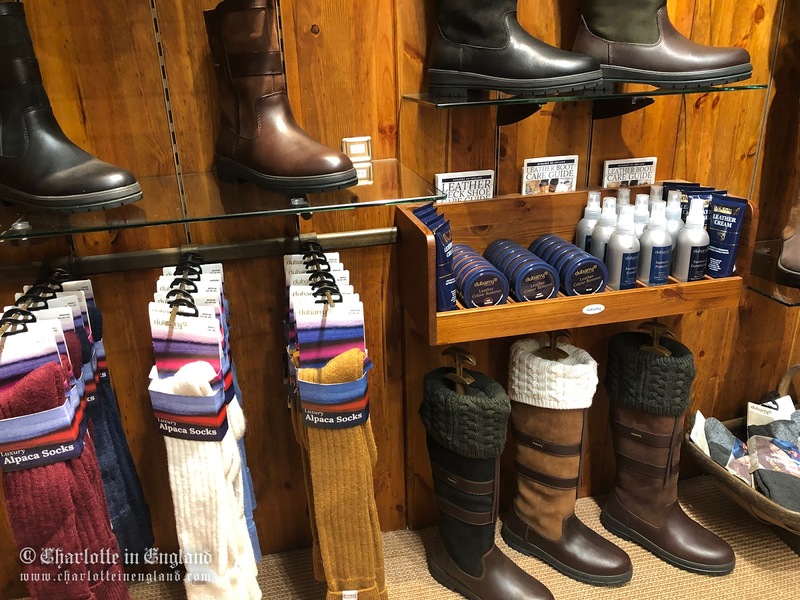 Have you visited a Dubarry store? How was your experience? 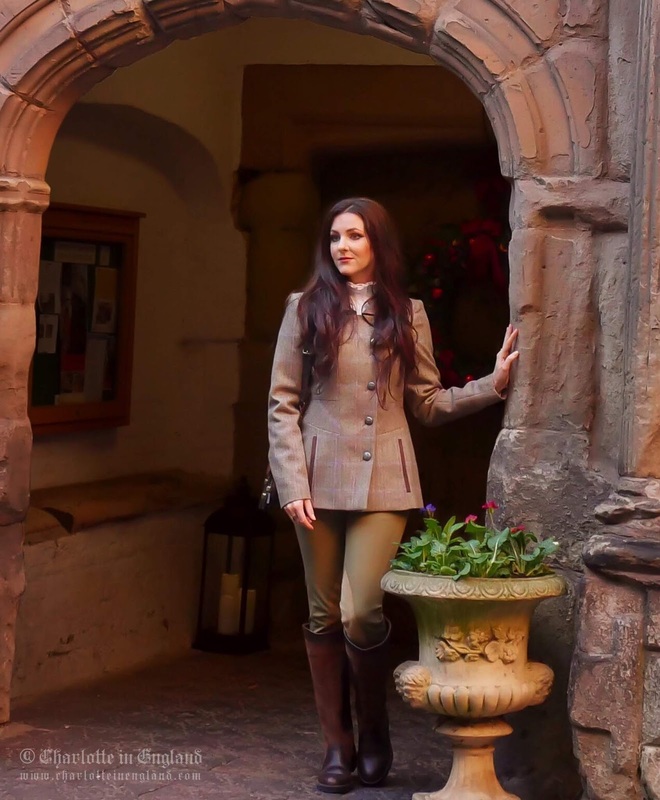 "It is unlike anything else in my wardrobe - It's truly sublime." 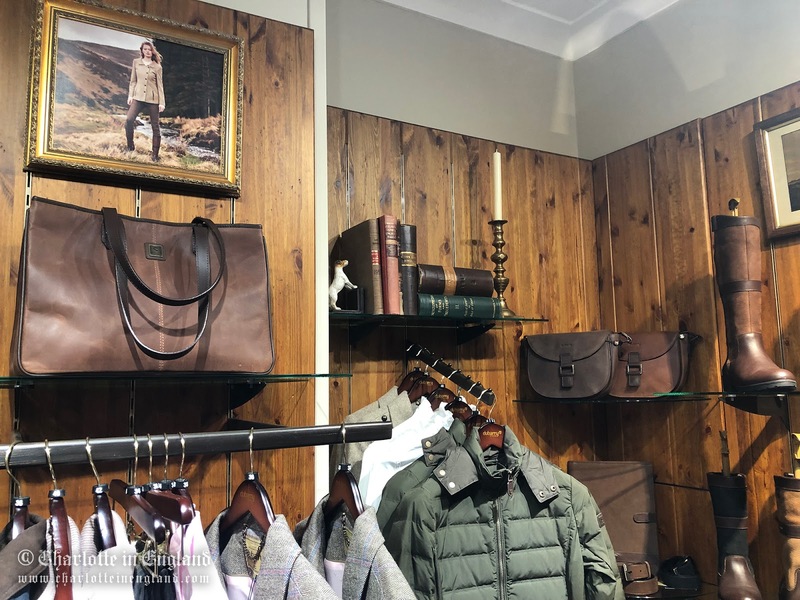 I decided to wear my Moorland jacket with my trusty Dubarry Clare boots, Dubarry Wildflower shirt, my Nixey 1834 sporran style bag and my Ralph Lauren jodhpurs. 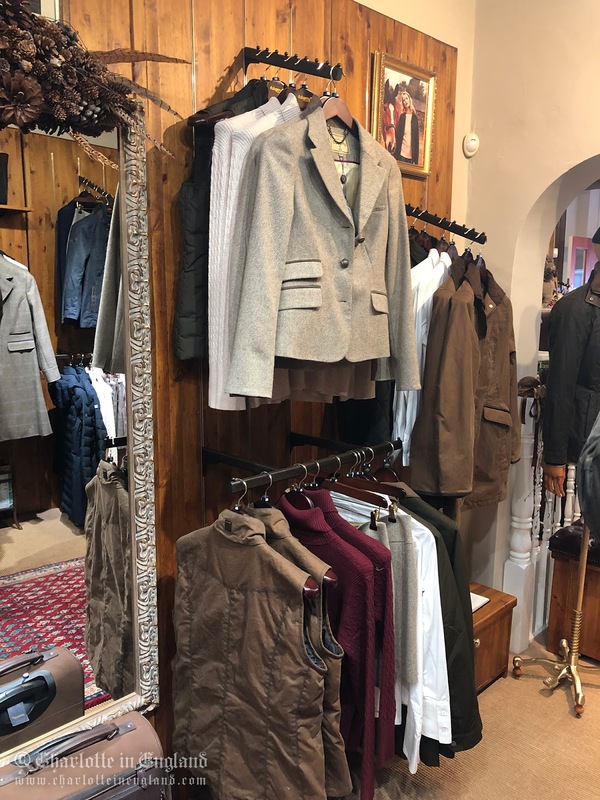 This jacket also looks fabulous with black skinny trousers (or jeans) and some sky-high black heels for that sophisticated sultry country look. 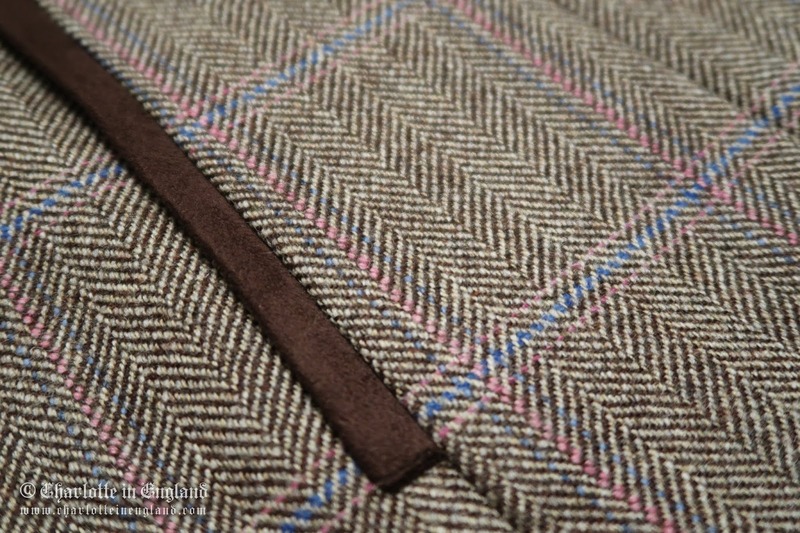 Due to the style, this would not look out of place on the city streets for that 'urban-chic' style too. I'm thrilled with the fit. I'm wearing a size 8 and I can wear this jacket with just a shirt underneath and it still fits like a dream. 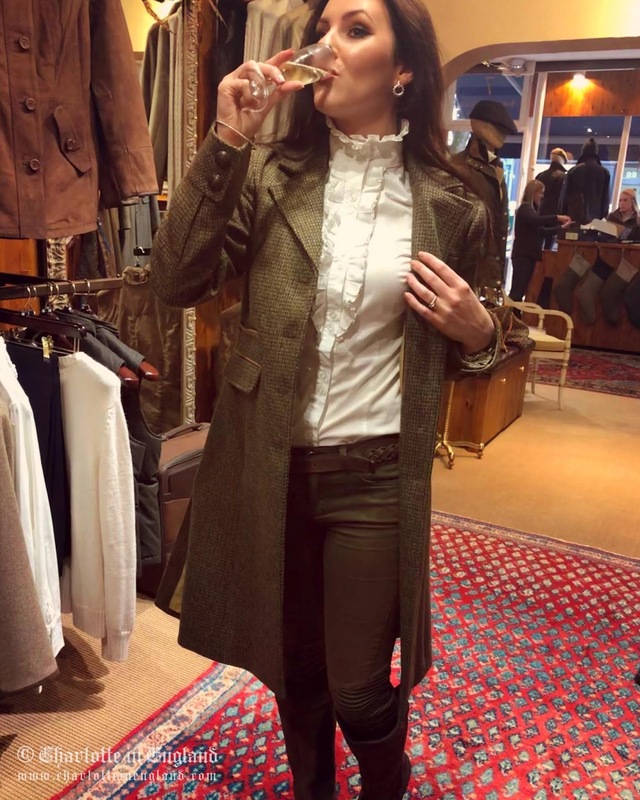 (I'm wearing my Moorland jacket with just a camisole and shirt on all of the above photos). 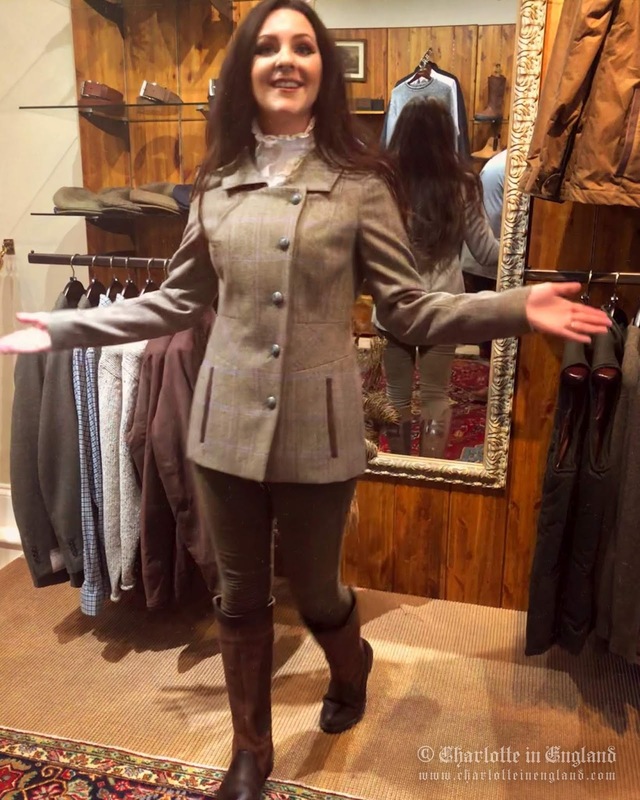 So, I'm a huge fan of the tailored fit and the smartly fitted waist. 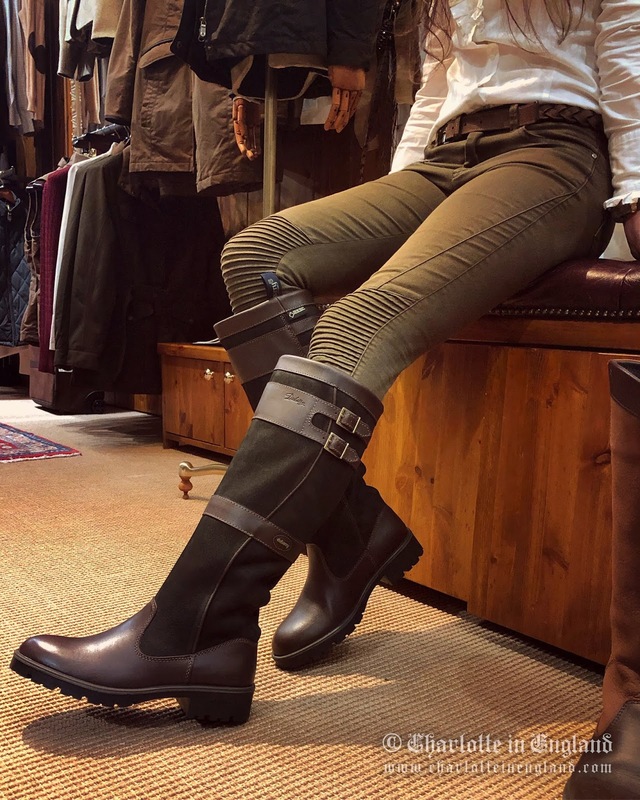 This is achieved thanks to clever seaming detail and a waist insert. 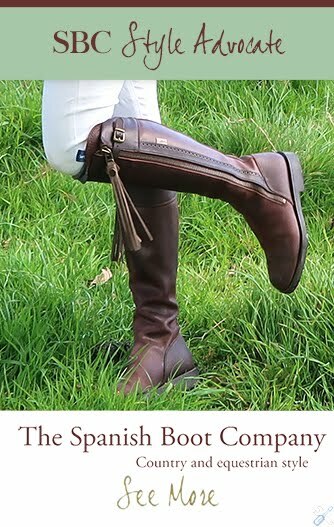 It nails that feminine, sophisticated style. 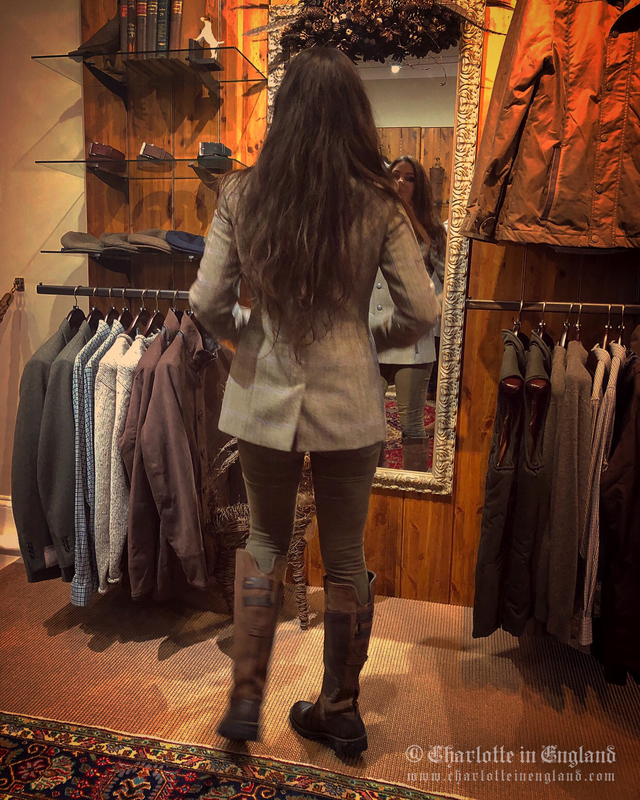 "Built to Perform, Designed to Last"
Being petite, the jacket sweeps nicely around my derriere - a good length jacket. 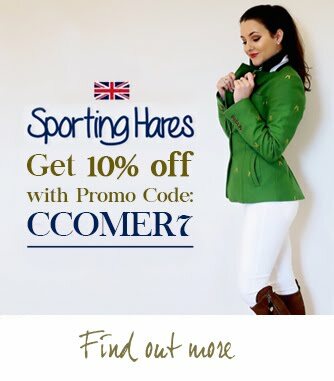 I don't know about you but sometimes country clothing drowns me, either on the shoulders/chest area or around the waist, but not this jacket. It fits like it should and I'm absolutely delighted! 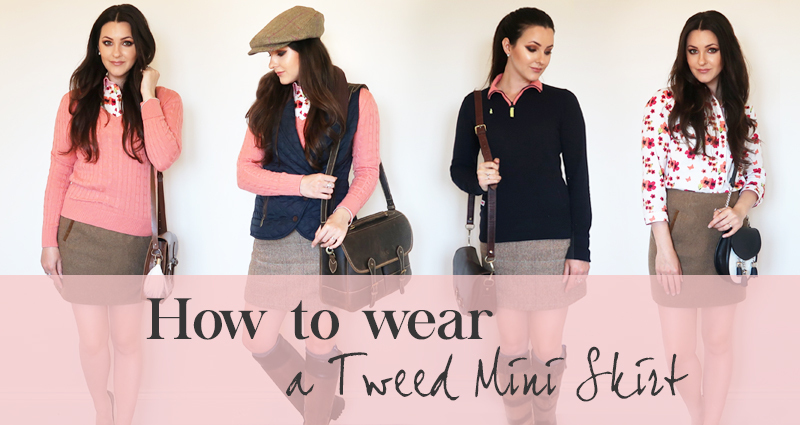 Let's talk about the tweed, the glorious tweed. 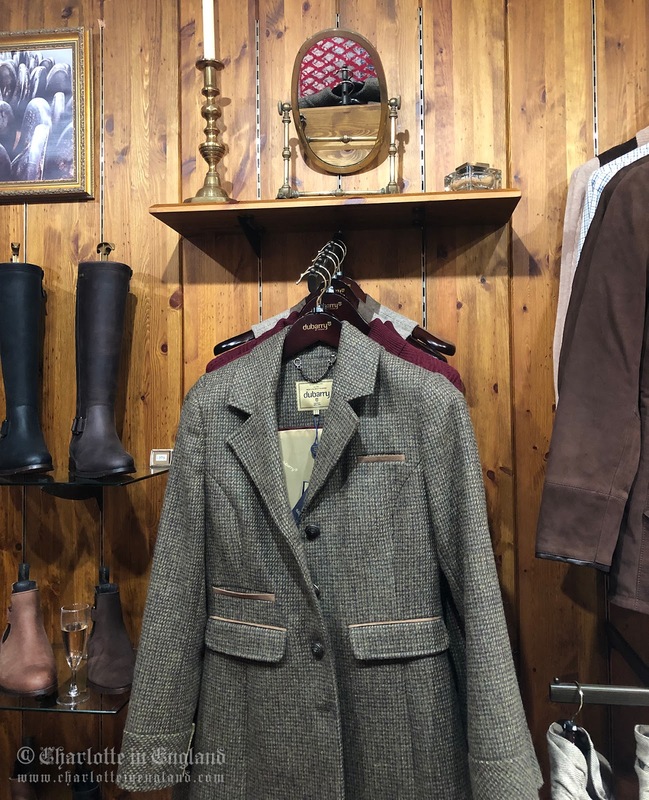 The Moorland jacket features a brand new style of tweed for Dubarry, named 'Woodrose' It's a really gorgeous style tweed with a real feminine and modern twist. I adore it. 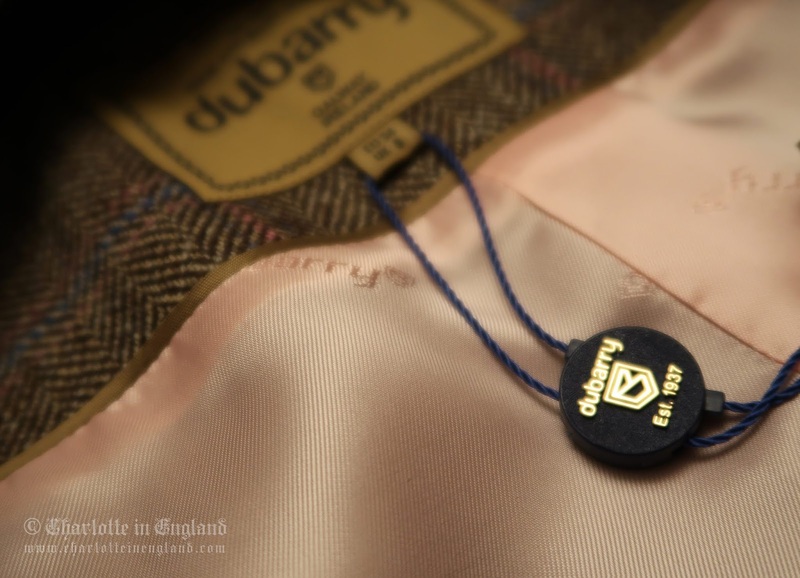 The inside of the jacket is fully lined in Dubarry branded Jacquard, that is a silky soft pink lining which really adds to the luxurious feel of the jacket. 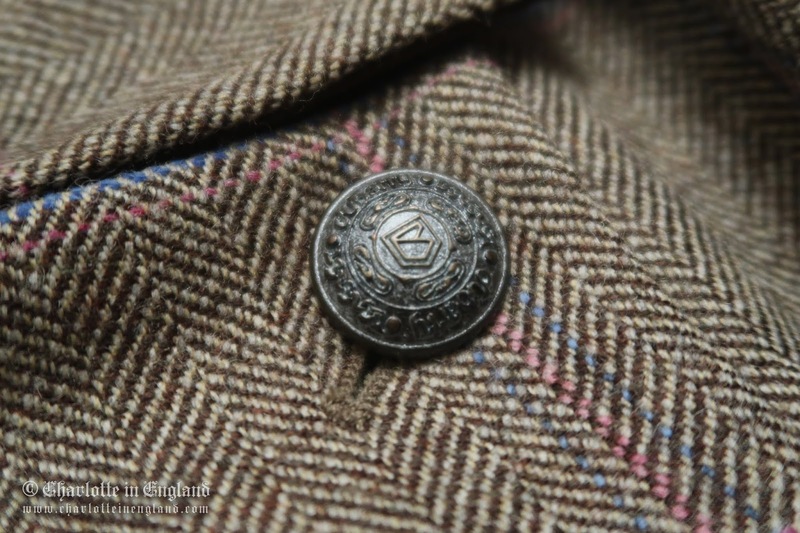 When worn, I feel like it fits more like a tweed suit jacket than a tweed shooting jacket. It's lightweight and is not bulky in the slightest. 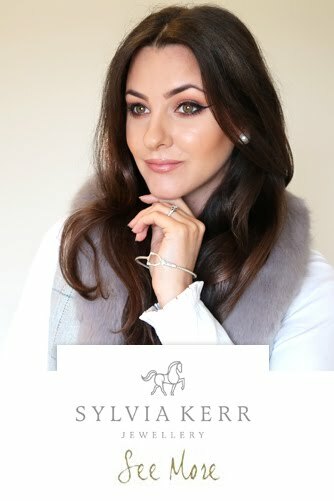 It is unlike anything else in my wardrobe - It's truly sublime and a pleasure to wear. It's Teflon coated, which helps the outer fabric to bead off as much rain as possible. 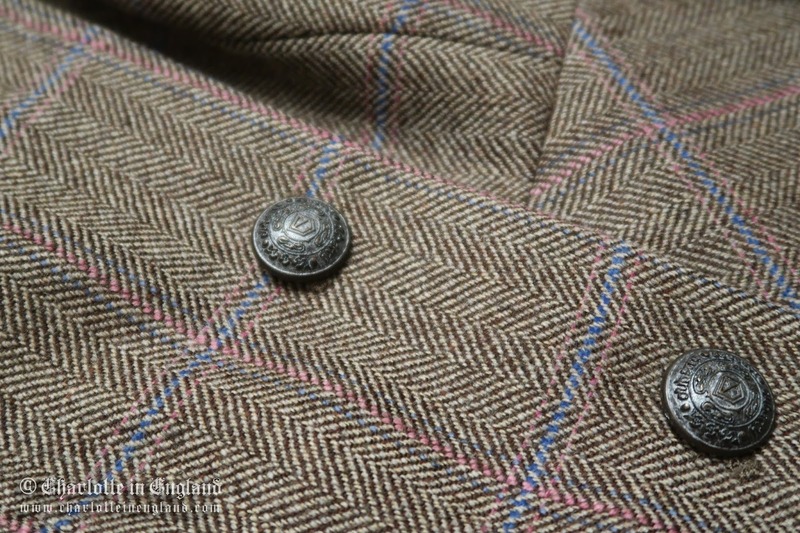 Even the buttons are glorious; unique Dubarry cast metal buttons. 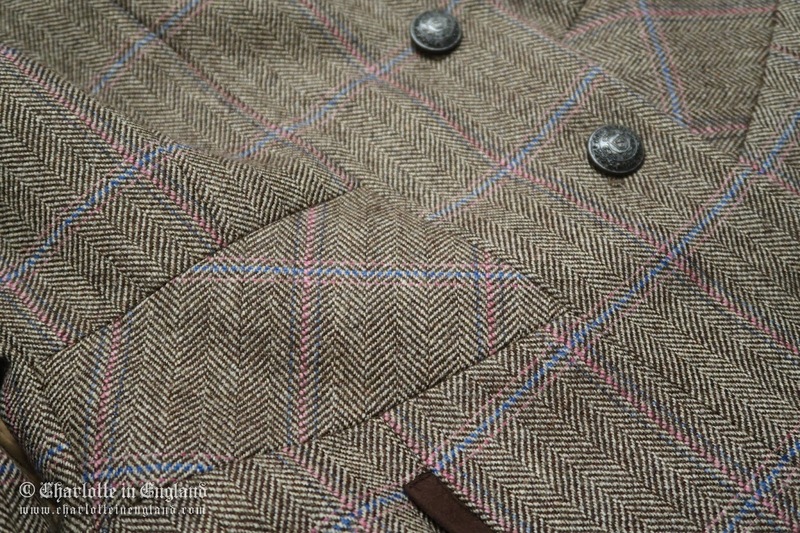 They really finish off the jacket. 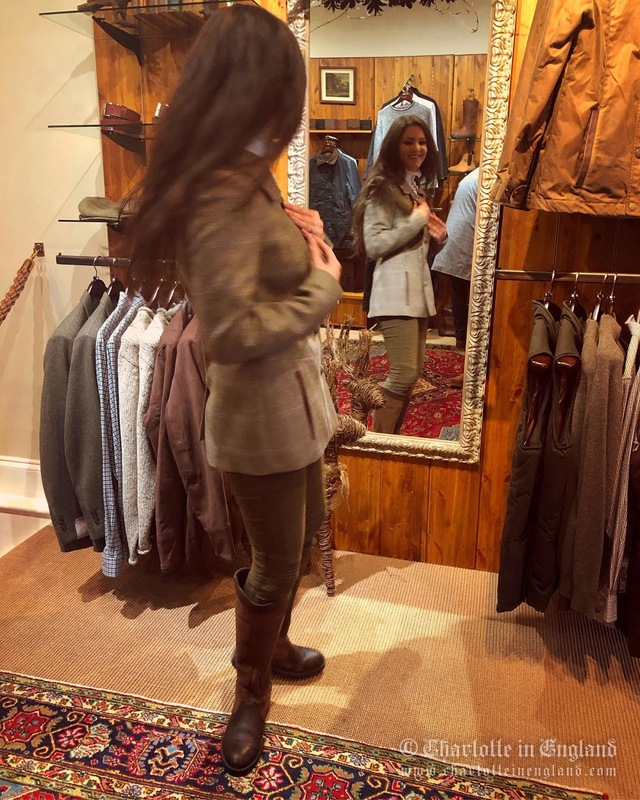 "With an asymmetrical buttoned front and smart fitted shape, Moorland is perfect for both country life clothing style and an urban chic look, city style." 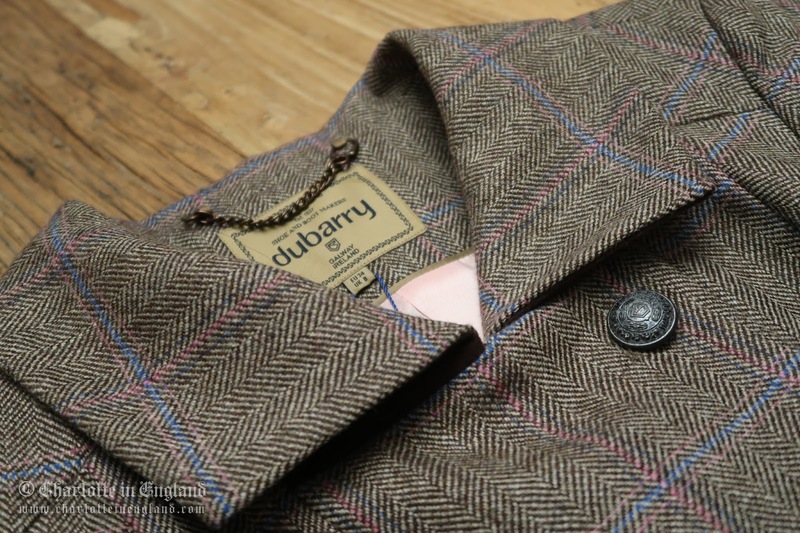 If you have been extra good this year maybe you deserve something super special, like this jacket for Christmas! 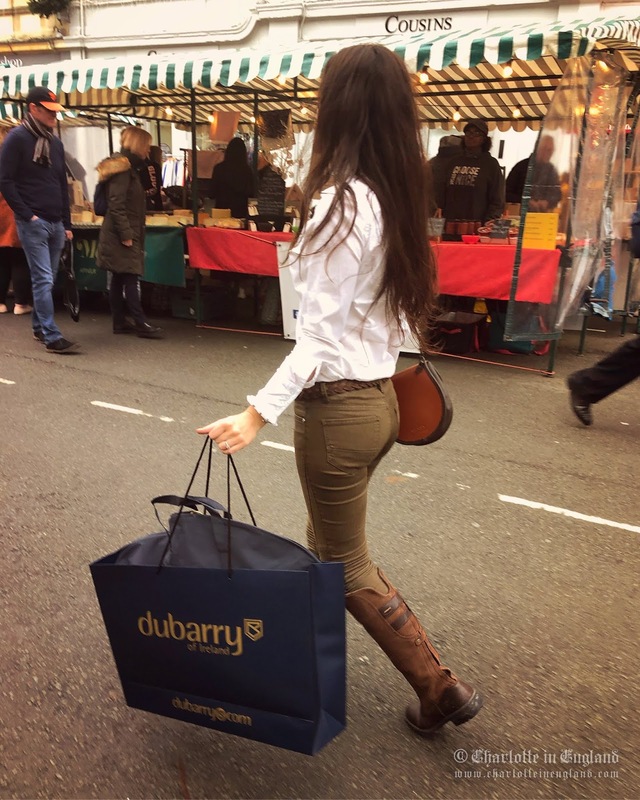 Do you own any Dubarry tweed? I'd love to know what you think of yours. * This is a sponsored post & the jacket was gifted to me. As always, all opinions are my own and I will always be honest and truthful. 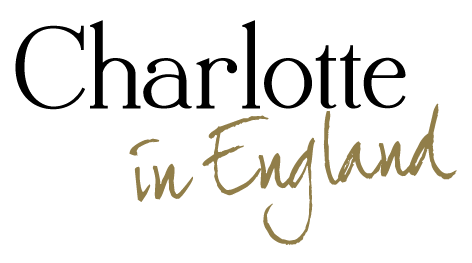 Design, photography, wording, opinions and quotes (in gold and black) by self.